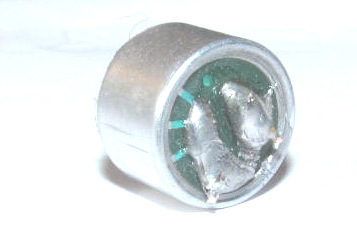 This is the Output pin of the microphone. An Electret Condenser microphone (a.k.a Condenser Microphone) is the most common type of transducer that is used to detect or measure sound signals. It functions exactly as opposite of a normal speaker, that is when a sound signal is detected it produces electrical signals. So if you are looking for the transducer to convert sound signals in your environment to electrical signals to detect sound or record voices then this microphone could be the right choice for you. The Electret microphone has two plates inside it just like a capacitor; the distance between the plates is directly proportional to sound present in the environment. 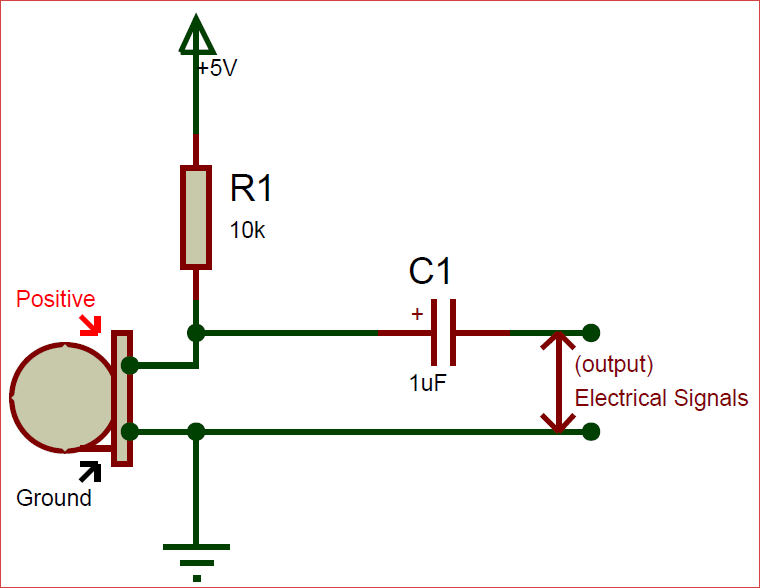 A very basic circuit to get started with microphone is shown below. The recommended operating voltage is 2V but it can withstand up to 10V so you can even use a 9V battery, in the circuit below I have used 5V to operate my microphone. 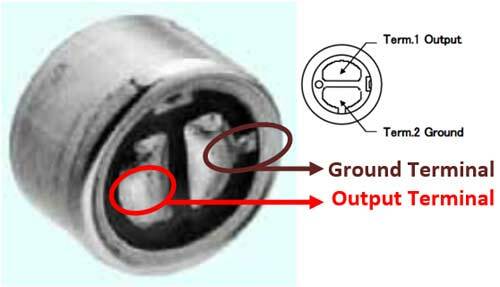 Always remember that microphone has polarity to make sure you connect the positive (output) terminal to supply through the resistor and the ground terminal to the ground as shown in the circuit below. The resistor R1 (10K) is used to limit the current flowing through the microphone (maximum should be 0.5mA) and the capacitor C1 (1uF) is used to filter the DC noise that might be coupled along with the analog electrical signals (output). 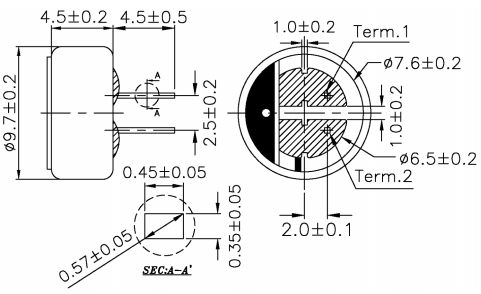 Also, note that the capacitor is also polarity sensitive and the positive should be connected to microphone Output pin. This capacitor is rated for 20Hz to 16,000Hz so any sound waves in that range will be picked up the microphone.